Rainwise offers a number of cellular modem solutions. As each application has different requirements and network availablity, we request that you supply us with the details about your application. We are then able to configure the most reliable and cost effective solution for your application. Versatile Electronic Data Logger. The EDL is an electronic data logger incorporating non-volatile memory and a low power or 'sleep' mode. The logger accepts Rainwise sensors. The Monopod sensor support system provides a sturdy prewired mounting for RainWise sensors that can be installed with a minimum of site preparation. The satellite modem offers a cost effective solution for aquiring remote weather data. The satellite modem uses the ORBCOMM network of low earth orbiting satellites to relay data around the world. The RainWise Permanent Sensor Mount consists of an anodized aluminum mast fastened by a weather-proof coupling to a PVC base that includes an integral NEMA 4X electronic enclosure. The enclosure can accept several sensor mounting options and the wind sensor mounts on top of the mast. 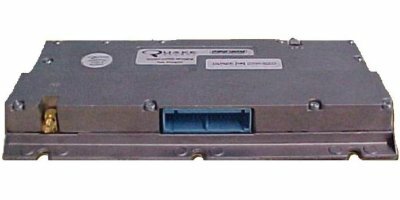 The short haul modem is used in applications where a serial connection to a weather station or data logger is required and it is possible to run a cable between points. Rainwise offers a number of different models. Please contact us with your specific application requirements. Rainwise offers a number of radio modem solutions. As each application has very different requirements, we request that you supply us with the details about your application. We are then able to configure the most reliable and cost effective solution for your application. The RainWise Mast and Sensor Mount consists of a rugged steel mast fastened with a weatherproof coupling to a NEMA 4X electronic enclosure. The mount can be furnished with several sensor mounting options in addition to the wind sensor support. This Flat Roof Mount provides a simple secure method of mounting a wind speed and direction sensor without penetration of the roof surface. Long Range Weather Oracle Display - The Oracle Display for the MK-III Wireless Weather Station receives the weather instrument data via radio signal from the sensor assembly.